OK! 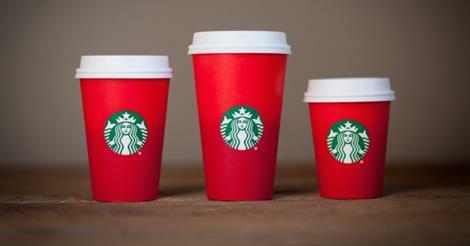 All of this red cup controversy over Starbucks choice to take a minimalist approach to their holiday cup design is just ridiculous! (Yes, I’m taking the bait!) Being a small business owner who spends a lot of time on attention to detail and planning designs, this story makes my blood percolate. Anyone have any ideas for this year’s cup design? How about we let people create their own design? We’ll leave a blank space and It will foster the imaginations of all. Or, maybe since the “red cup” by Solo has been trending for the past five years and manufacturers have been producing its image on everything from party lights, to candles, to socks, Starbucks thought they better jump on the band wagon with their red cup statement? This all started because a guy named Joshua Feuerstein who claims to be a Christian pastor, made a video accusing Starbucks of hating Jesus. He stood in front of one of their shops with his video camera, bragging how he told the barista his name was “Merry Christmas” and tricked her into writing Merry Christmas on the cup. He challenged everyone to take selfies and start a hostile movement in the name of Jesus. Then he accused them of not supporting the second amendment and whipped out his gun in plain sight. Hey Joshua! Doesn’t the bible say, “Do not judge?” Have you asked Starbucks if they hate Jesus? What if they don’t? I think Jesus would appreciate it if you asked them first instead of accusing. Also, why do you want to start a combative social media movement against a coffee company? Is that what Christmas is all about for you? And showing your gun in the parking lot makes you kind of (a lot) creepy. Do you have a license for that? Also, Josh (Can I call you Josh? ), your actions don’t make me want to go to church. I’m just sayin’. And let’s not forget Donald Trump’s idea of boycotting Starbucks. Wow! Just wow! 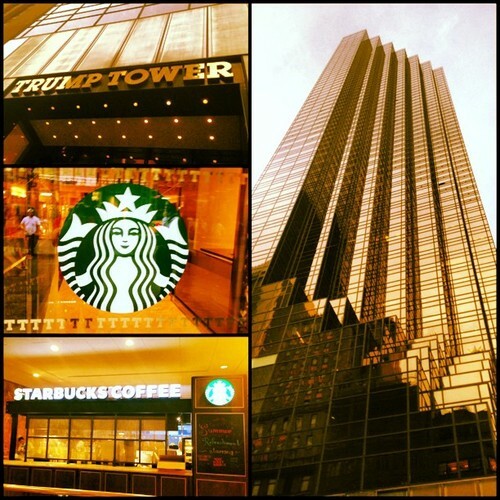 Ummm…there is a Starbucks inside Trump Towers. End of subject. So what’s really going on here? It’s all Taylor Swift’s fault! (Yes, I have the unique ability to turn any subject into a conspiracy theory.) Taylor Swift coined the phrase “Starbucks Lovers” in her hit song “Blank Space”. Isn’t it funny how the cup this year has a “blank space”? Isn’t it funny how the hashtag #starbuckslover is used over 60k times on instagram? Isn’t it funny how her 1989 album outsold both of her last two albums in 19 weeks? And wouldn’t someone who is well aware of copyright infringement laws know better than to use the Starbucks name in a song unless they had pre-arranged it? What if this is all a preconceived, money-making scheme between two power houses, designed to fool us all? OK, there’s some food for thought. You’re welcome. I’ll be back to focusing on fashion tomorrow. This was just brewing. I’ve attached Taylor Swift’s maniacal relationship video for your viewing pleasure. 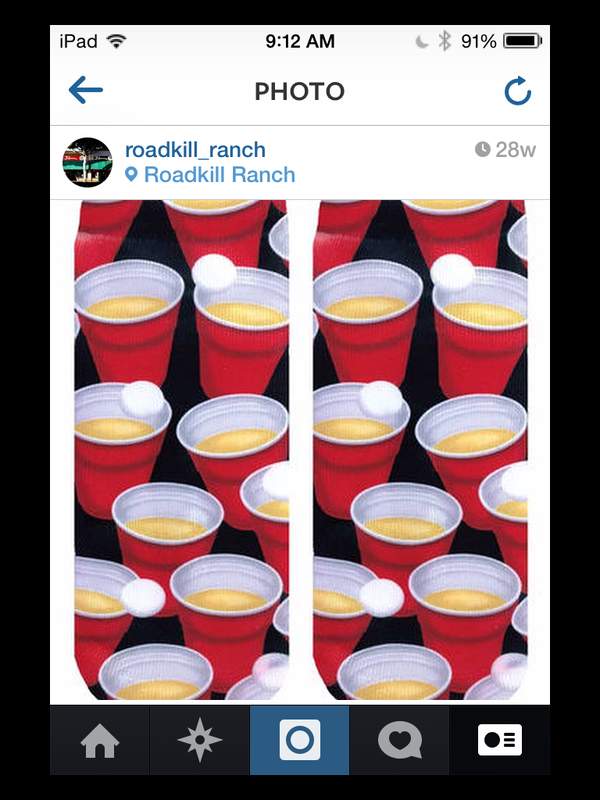 On a fashion note, her outfits are on point and Roadkill Ranch carries the red cup socks pictured above.